Well, inspired by Jeff, I’ve been thinking about a “You might be an entrepreneur” routine—in other words, slightly unexpected signs you’ve got what it takes to go through the thrilling, punishing, life-changing experience of starting your own company. When most people reach a goal they think, “I did it! Time to sit back and enjoy it for a while.” An entrepreneur thinks, “Great, what’s next?” Take the late fashion maven Coco Chanel. She started with a simple hat line, expanded into women’s clothing, and eventually moved into jewelry, accessories and perfume. By the time of her death in 1971, Chanel had not only left behind an iconic brand, but a business empire that was bringing in $160 million annually. Entrepreneurs like Chanel don’t stop with one big achievement. They’re always itching to find and take on the next challenge. Throughout my career, I’ve had to make a conscious effort to strike a balance between controlling my business and letting the talented people around me take the reins. It turns out that many of my entrepreneur friends struggle with the same challenge. It’s great to have a CEO who cares about all the details of a company, but when that person needs to be involved at every level, it can become detrimental to getting things done. It can also stress out employees, who have been brought on precisely so you don’t have to make each and every decision. Luckily, we can take some comfort in knowing that super entrepreneurs like Elon Musk, Steve Jobs, and Bill Gates have all been described as control freaks. As an entrepreneur, you’ve got to love a little pain and a lot of risk. Consider the fact that 75 percent of new startups fail. Only a masochist sets himself up to face those kind of odds, straight out of the gate. And it doesn’t get much better after that, at least not at first. You’ll struggle for money. You’ll work unimaginably long hours. You’ll be lonely, because while everyone else is out partying or watching movies, you’re toiling away … often alone. Serial entrepreneurs—who start and run businesses one after another—could be considered even more masochistic, because they go into each new venture knowing what’s coming. Entrepreneurs generally fall in love with making money really early in life. A young Warren Buffett, for instance, had a paper route for the Washington Post and made money selling everything from lost golf balls to gum, stamps and magazines—all before he graduated from high school. I got my start washing windows of local businesses and selling snacks on paintball fields when I was still in elementary school. Many entrepreneurs describe themselves as not fitting in with the crowd. I definitely felt that way in high school. Lots of notable entrepreneurs have even ended up ditching the traditional education system altogether. 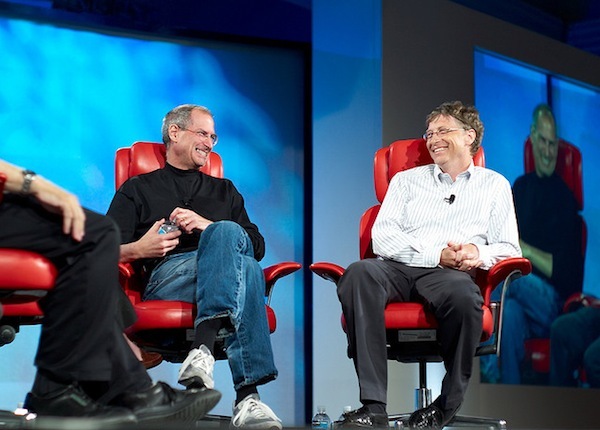 Tech titan Bill Gates, billionaires Ted Turner and Li Ka-shing, Richard Branson and McDonald’s founder Ray Kroc are just some examples of widely successful entrepreneurs who all dropped out of high school or college. While it’s not always easy to be the outsider, it’s exactly this quality— seeing things through a different lens from the rest of the world—that can help move society forward and drive innovation. Because entrepreneurs tend to think along different wavelengths, their ambitions can often come across as crazy to friends and family—especially before the vision has been made a reality. Take, for example, Ruth Handler, who created the world’s most iconic plastic doll: Barbie. In the 1950s, Handler was met with doubt and criticism (including from her own husband) for proposing a doll that looked more like an adult than a baby or child. She came up with the notion after seeing her own daughter playing with paper dolls that looked like adults. Handler, of course, went forward with the idea anyway, and the rest is history. To lead a business, you need to be super outgoing and salesy, right? Not necessarily. It turns out that roughly four in 10 top executives—including Google CEO and co-founder Larry Page—identify as introverts. Facebook founder Mark Zuckerberg is also a well known introvert. Research suggests that introverts in the workplace foster a better team environment than their extroverted peers. And introverts are also known to be good listeners, a greatly overlooked but essential asset for good leadership. Few of the entrepreneurs I know are loud or assertive, especially not in big groups or meetings.